The 2018 Corolla sets the standard that all other sedans in the industry try to follow. With advanced efficient engines, smart safety features via the standard Toyota Safety Sense™ P suite of technologies, and a sporty exterior with features such as standard Bi-LED headlights and available 17-inch alloy wheels, the new Toyota Corolla sits at the head of its class. The 2018 Toyota Corolla is offered in six trim levels: L, LE, LE Eco, XLE, SE, and XSE. Are you in the market for a stylish sedan with advanced safety features, premium materials, and powerful engine options? Then add the 2018 Toyota Corolla to the top of your list. 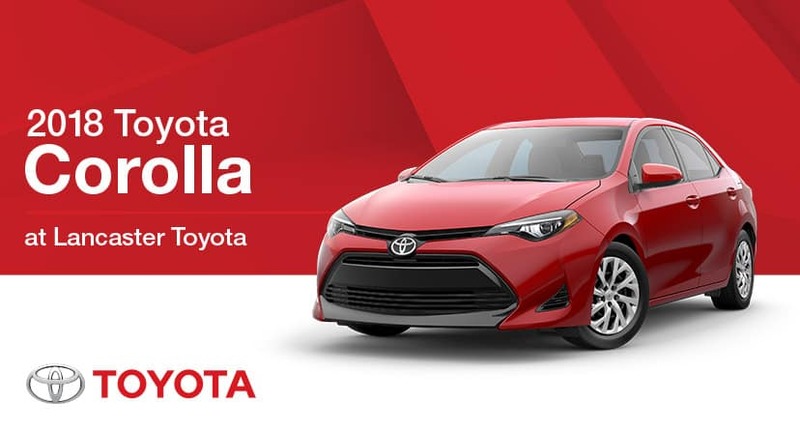 The new Toyota Corolla is available for a test drive at Lancaster Toyota today.